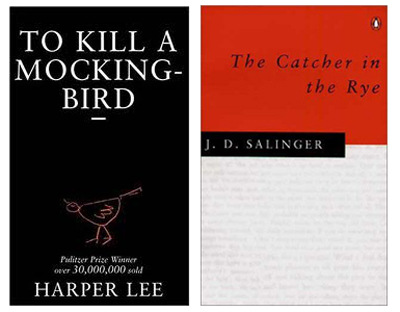 JD Salinger’s classic, Catcher in the Rye, and Harper Lee's To Kill a Mockingbird are now on the path to extinction in many American classrooms to be replaced with informational texts featuring heart pounding readings like Recommended Levels of Insulation by the U.S. Environmental Protection Agency and Invasive Plant Inventory. Are you kidding me? Really, and this is not some Onion satire we are witnessing? I must admit that I never quite know when satire begins and reality intrudes. When asked years ago what one could do to improve education, I quipped, “Simply eliminate most school of education.” While doing a student teaching, a veteran teacher told me that everything I learned in education classes, I would abandon after two weeks in the classroom. He was right; for after two weeks in the classroom while doing my student teaching, I realized that much of what I was taught in my educational classes was indeed a waste. Today, I would add, simply dismantling the Department of Education would go a long way to improving education. A return to a basic courses of History, Government, Math and Science to go with reading classical literature, would begin a renaissance of learning. Recommended Levels of Insulation may prove useful in one’s life, but it is not great literature and to promote manuals in place of classics is to deny future generations the opportunity to read and understand what great literature is. It is not Recommended Levels of Insulation. Educational quality has not improved since we have instituted a Department of Education but has declined as numbers show on a yearly basis. During the 70’s and 80’s, many colleges found themselves under siege for having basic Western Civilization courses and the rally cry of the radicals was “Hey, Hey, Ho, Ho, Western Civilization must go!” The question that remains is how does one compare our own culture to others when we know very little of it? If anything, the Department of Education has brought into the educational process the rule of bureaucrats, which has proven to be not compatible with learning in the classroom. The proposed elimination of Catcher in the Rye as well as other classics is just another step toward the devaluing of what true education is. Hillsdale College over the past year has introduced two courses on the Constitution and recently added the first part of a course on Western Civilization. Offered free to anyone interested, these courses are similar to what students are taught and represent what true education is and what used to be common educational experience for most students. To read those classic Roman and Greeks that our Founding Father depended upon or be exposed to once again, those key documents that spawned Western Civilization, I found myself becoming reacquainted with classic education. For many students today, what is taught can be more politely called indoctrination, and we are raising a generation that will have neither the skills or historical substance to govern or even understand those basic principles that made this country great. We live in an era that mediocrity rules and excellence is disdained and we see the result everyday. The recent job report simply reinforces what our nation is becoming. The report was treated as yet another example of a coming boom but look beneath the surface and we see an economy that is treading water. A society that no longer feels the need to teach great literature in the classroom is a society that tolerates mediocrity in our daily life. Societies that no longer seek or demand greatness will soon cease to be great.